This day marks the 167the anniversary of the first women's rights conference in history. Organized by Elizabeth Cady Stanton, author of The Women's Bible, and Lucretia Mott, the conference took place in 1848 in Seneca Falls, N.Y. Stanton, one of my "sheroes," was dissatisfied with traditional biblical translations, authorized and executed by well-meaning men, who apparently forgot the verse in Genesis in which God created men and women equally in the divine image. But Stanton and other women knew their bible, and they knew, too, about the dismal status of women in society. They brought religion and politics together with zeal. Stanton still inspires me, though much of her bible commentary sails over my head, and I bet I'd be cowed by her formidable presence. Seneca Falls, a small hamlet (2010 population, 6,681) borders New York's Finger Lakes. It was an improbable setting for feminist zeal and the birth of the impossible demand for a woman's right to vote. First-Century Palestine after the crucifixion of Jesus was no more probable a setting for reformist zeal, or resurrection cheer, either. 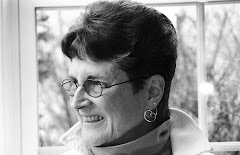 The sweetly naive, Christian song, “They will know we are Christian by our love,” written in 1968 by then-Catholic priest Peter Scholtes, has been recorded and popularized so much that many Christians today consider this an identifying refrain, a musical mantra— despite the fact that its spirituality, “We are one in the spirit,” doesn’t ring true in the face of contemporary Christian rancor and divisiveness. Well, it didn’t ring true in the first century land some now call “holy” either. What is astounding is that Christianity, the little love-faith, didn’t miscarry completely and wash out to sea like so many other movements of zealous beginnings. Why? Well, for one thing there wasn’t an ounce of naiveté in the faith of Jesus of Nazareth, any more than there was in Stanton and her women. No cotton candy. The early Christians had love all right, as did the women, and they also had zeal for their God of grace. I wonder if zeal is what we softened Christians need more of today? Something new had to happen fast—and zealously. Zeal means great energy or enthusiasm in pursuit of a cause or an objective. It’s close to jihad. The early Jesus followers had to save their people, and they had to save their sense of divine favor. Some of them followed the zeal of one man, Jesus of Nazareth, and they kept that zeal going like a brushfire. Do we need more zeal today? Do I, as I write and advocate for the fullness of the image of God, have enough zeal? 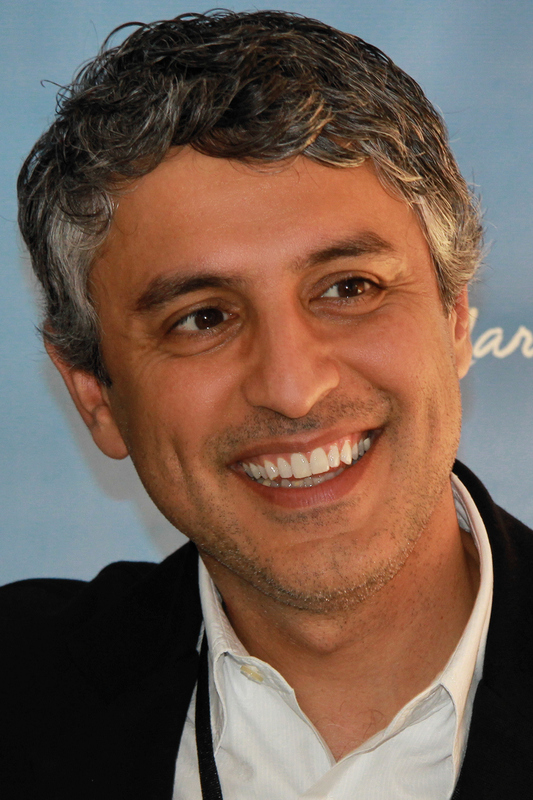 Reza Aslan, author of Zealot. The Life and Times of Jesus of Nazareth, gives a stunningly vivid picture of the context of Jesus’s times. I’d studied some of this but never had it explicated in such powerful and complete ways. Both the political and historical context came alive. Context, they say, is everything. Well no, content also counts; in fact, context and content must be inseparable—held together in tension. This book succeeds. Many of us Christians hear bits and pieces of this story every Sunday in parish churches. Does it change our lives? Aslan’s experience sounds like, but was not, a religious conversion experience. He is married to a Christian woman and remains Muslim. His teenage zeal, however, had a life of its own —enough to fuel his pursuit of the Jesus of history and write about it. His book is not meant to be theology, any more than the Bible is meant to be history, yet the complementarity of the two shapes my spirituality and my religious practice. But do I have enough zeal? Can you be zealous about the whole enchilada of history, politics and religion? Zeal sounds extremist. It’s scary. My Godde, I’m an Anglican! I’m not one of the conservative evangelical Christians in the south, or wherever they are supposed to be, possessed by certain social political issues that can get confused with religious ones. They do have zeal, though. Still, the spirituality of zealotry must rise above particularity, even go beyond and deeper than social justice activism. It’s a soul-fire. It's what the women at Seneca Falls had. The frenzied hotbox of Jesus’s day, held intact only by Roman oppression, made zeal near-inevitable. Something had to explode. This ancient empire has been compared to our American empire—too much wealth and status concentrated in too few people who hold the reins of power. Will there be a revolution, as some young people say, maybe advocate? Revolutions demand change. Collective zeal is their fuel. By 70CE the Romans had burned Jerusalem and the Temple to the ground. Messianic pretenders felt abandoned by God. All was lost. Aslan writes: “Meanwhile, in triumphant Rome, a short while after the Temple of the Lord had been desecrated, the Jewish nation scattered to the winds, and the religion made a pariah, tradition says a Jew named John Mark took up his quill and composed the first words to the first gospel written about the messiah [sic, one of many] known as Jesus of Nazareth—not in Hebrew, the worship language of Jesus, but Greek, the language of the heathens. The language of the impure. The language of the victors. This one sentence stunned me. One. One Jewish man remembered and wrote—this in the midst of violence, terror, chaos and grief. Thus began the written biblical memoir known as the New Testament. One. Was that simple, single act of remembering and writing the real miracle? Was it zealous? Zeal makes change, for better or worse. It is not to be mocked, and not to be exaggerated. When you force or fake zeal, you desecrate it. Zeal is born, focused, and expressed in diverse ways: silence, creating art, music, movement, shouting and jumping, praying, preaching, storming, talking and listening into the night. Often zeal comes in childhood, and often it gets eclipsed as we grow. But something mysterious touches you to the core, and you never forget. Never. Forever. What you do with it depends on your context. I'm haunted on and off by something a wondrous seminary professor of mine referred to more than once: "the routinization of charism." We, dumbly rapt and determinatively zealous, middler seminarians laughed and clapped, as if we actually knew we were hearing the call to zealotry. Zealotry was the right spiritual gift to awaken First-Century Palestine to divine grace for all. Zealotry awakened 19th century America to basic rights for all, including women. Is zeal what’s needed for 21st-century America? For 21st-century Christianity?